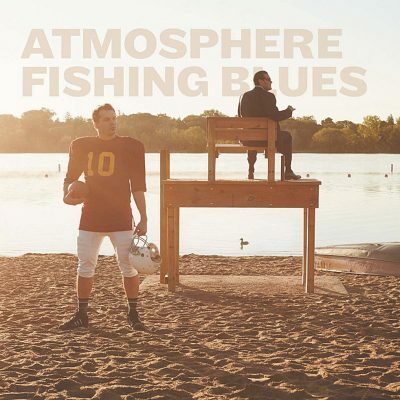 Now coming out with their seventh studio album, Minnesota heroes Atmosphere are back and show no signs of stopping with Fishing Blues. This album came as no surprise, as early 2016 was rattled with single releases and then, eventually, a track list. In true Atmosphere fashion, their sound continues to grow and tweak—each album never offers the same experience. Fishing Blues has an inspired feeling to it, with elements of blues, gospel and funk all taking part in creating the overall sound. Boasting an 18-song track list with nothing under two minutes long, Atmosphere have offered enough music to satisfy after the two-year break following their previous album. Motivated to make each album a musically unique experience, Ant continues to make magic by combining a healthy mix of upbeat and fun beats hanging side by side with the moody and personal ones that they are often associated with. Atmosphere are in good company with the likes of I.B.E., deM atlaS, DOOM, Kool Keith, Aesop Rock, The Grouch and Kim Manning, all featured in Fishing Blues, making it an album of underground and independent all-stars. However, Atmosphere soar with this new release. Other key tracks include “Chasing New York,” featuring Aesop Rock. “Chasing New York” carries a more urban-style rhythm with a cool and calm beat paired with a flowing bass line. The track sounds reminiscent of the God Loves Ugly era, and Aesop Rock adds an unexpected flair.